Welcome to Firkins Mitsubishi Serving the Tampa, FL area. Firkins Mitsubishi located in Bradenton, FL is proud to be the auto dealership that serves the entire local Bradenton community including Tampa, Sarasota, St Petersburg, Brandon, and Bayshore Gardens with new and pre-owned vehicles focusing on providing five-star service and sales support to every person that we come in contact with. 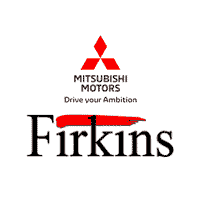 If you are considering a new Mitsubishi you should expect high standards and at Firkins, we strive to give you. Make your way to Firkins Mitsubishi located at 2900 1st St Bradenton, FL 34208 today for quality vehicles, a friendly team, and professional service at every step of the way. And if you have any questions for us, you can always get in touch at 888-595-3704.